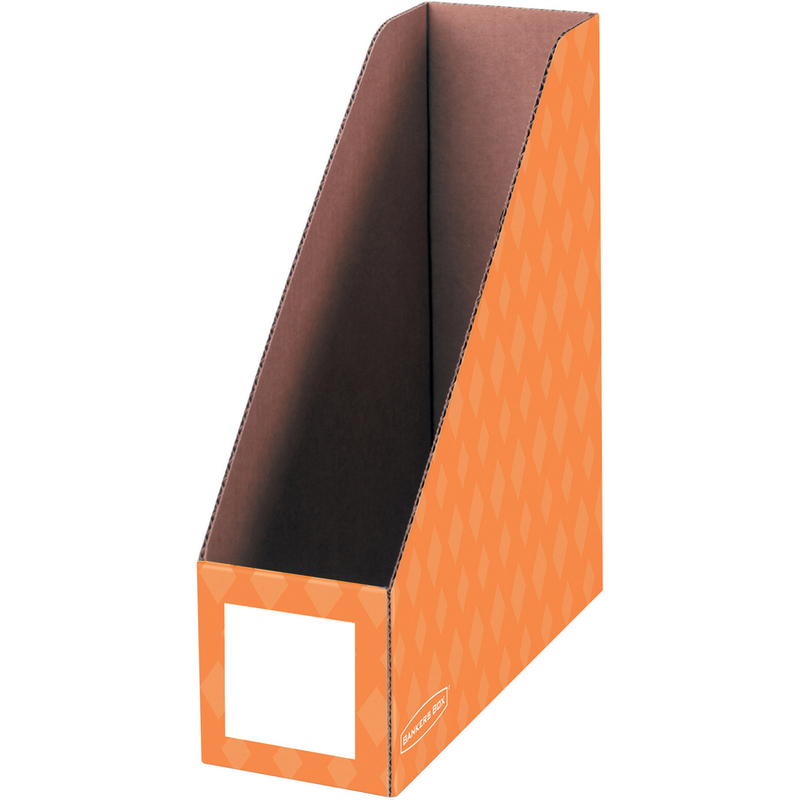 Bankers Box 4" Magazine File Holders store and organize letter-size material. 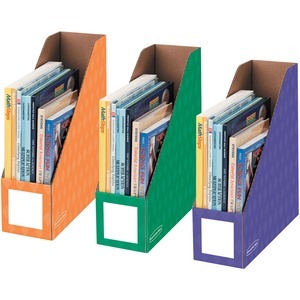 They are perfect for teacher desktop storage or shared classroom storage. 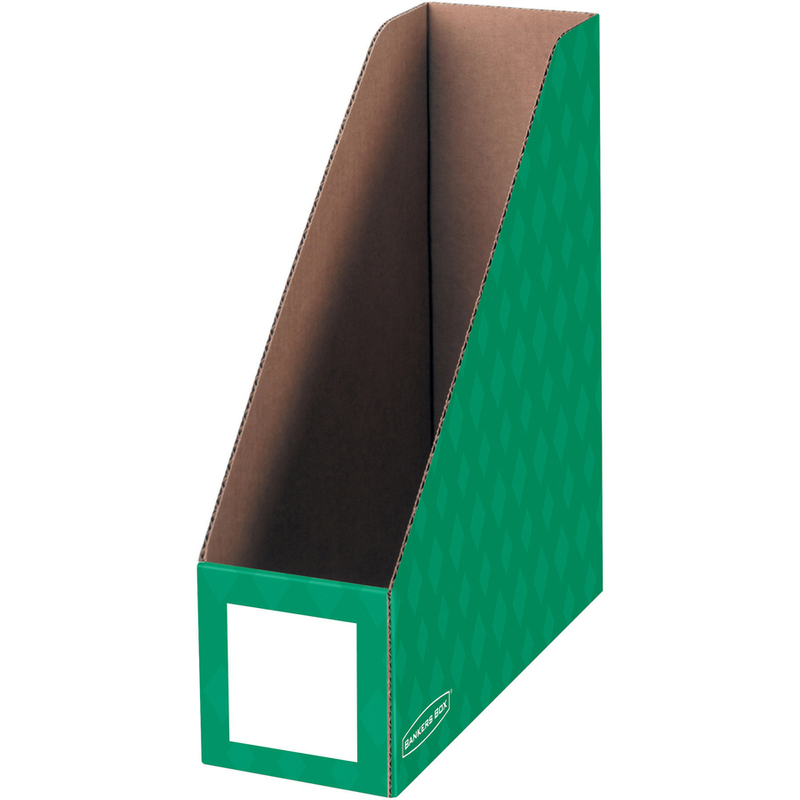 Each magazine file holds magazines, file folders, project binders, catalogs and textbooks. Assorted colors include purple, green and orange.